Killer Garage Rocker from 1965, repressed by popular demand. Round Robin is a rotund gent, rather like a scary Chubby Checker. Check out this floor filling wild fuzzed up Garagey Rocker. 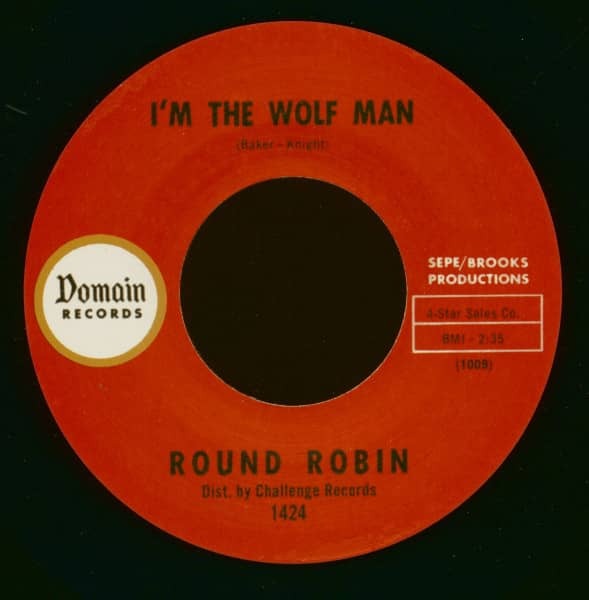 Customer evaluation for "I'm The Wolf Man - Sit And Dance (7inch, 45rpm)"